Of all the appliances in your home, the one you really don’t want to smell bad is your washing machine – after all, if it smells bad, so will all your clothes! In order to prevent that horrible mustiness from creeping into everything you wear, a little preventative medicine is in order – but if things have already gotten bad, fear not – there are ways of reversing the damage, and restoring your washer to its former fresh-smelling glory. 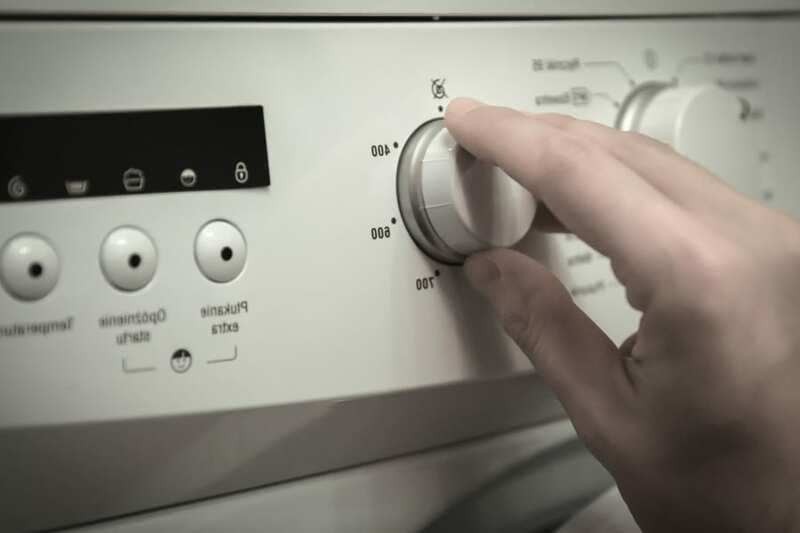 Saving energy is important, and many washes don’t need to run any higher than 30°C, but temperatures slightly higher than that play a key role in ridding your washer of the sorts of bacteria you might associate with yeast fermentation. If you don’t want your clothes to smell like rancid homebrew, treat your washer to the occasional hot cycle. A good way to get bad smells out of your washer is to simply allow them to leave – by leaving your washer open, you’ll allow the interior to dry properly, and fresh air to circulate it. If you’re going to do this and there’s a cat in the house, be sure to check the drum next time you go to use the machine: some cats will happily jump in there for a snooze. If you have the washer on while you’re watching television in the evening, then you might be tempted to leave a finished load to sit while you wait for an opportune break to arise before you empty it. This isn’t great for your washing machine, or your laundry. Get it out as quickly as you can! Fabric softeners are useful for ensuring your clothes stay as soft as possible, but they’re not all good news – they leave a faint residue behind that’ll provide mildew with the conditions it needs to thrive. To avoid this, and the associated smell, skip the softener for a few loads. You can always use it on your towels – but your jeans probably don’t need it! If you’re already noticing an unpleasant smell forming, don’t worry – a quick clean with some caustic chemicals should flush those odours away. That said, this is best done pre-emptively every few months or so to keep odours from forming in the first place. Combine equal parts baking soda with water. You won’t need much of this – a couple of tablespoons should be sufficient. Add the mixture to the machine’s detergent container. The vinegar should be placed straight into the drum. Run an empty cycle, on the highest possible temperature. This will blast any lingering stains and bacteria into oblivion. Once you’re done, be sure to thoroughly scrub the interior and door, where stubborn stains might be lingering. Failing all of this, maybe it’s time to invest in a new washing machine. View our complete range here.